Discussion in 'Electric Instruments' started by shallbe, Sep 11, 2018. 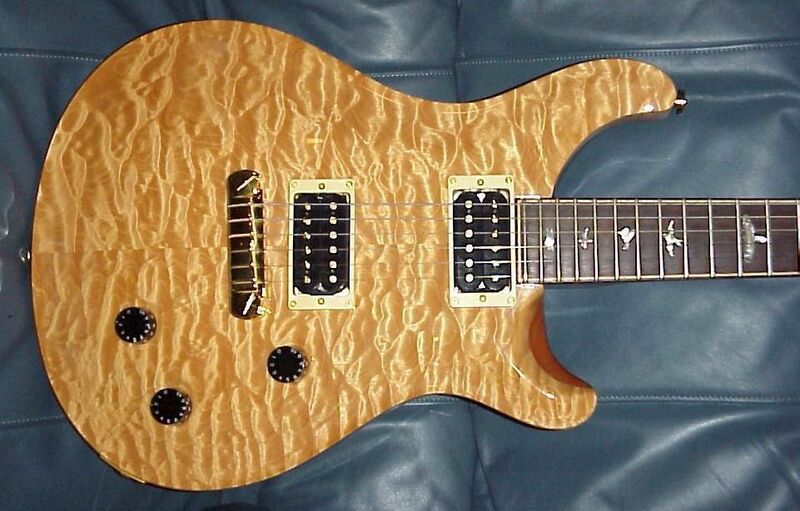 I love a lot of the new models coming out of PRS these days. 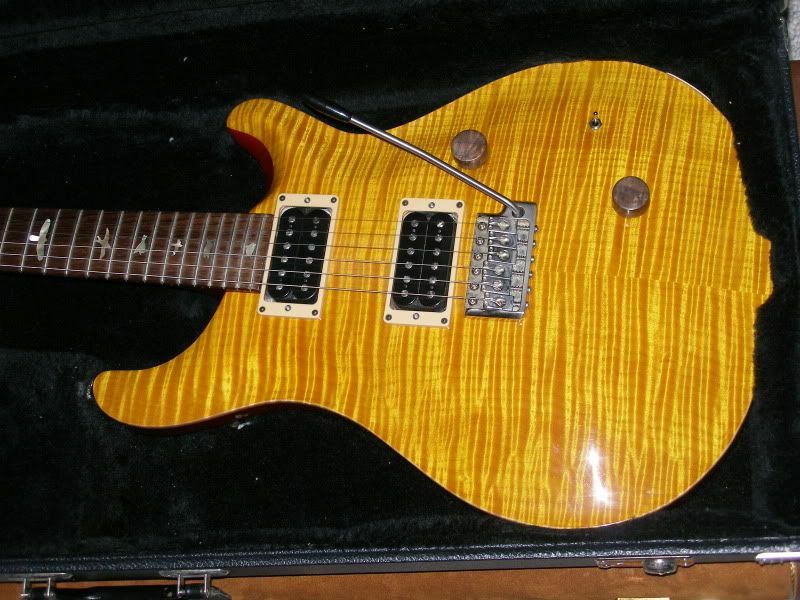 The pickups are great, the Phase III tuners are great, and a lot of the Wood Library guitars are amazing. 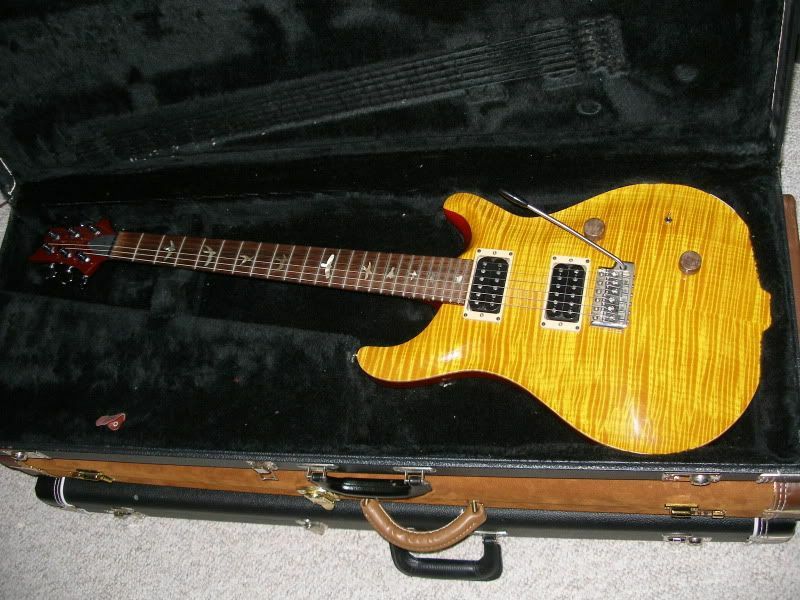 However, I have 3 not-so-new PRS guitars that just can't be replaced or outdone by newer stuff I have played. (Yes, I love yellow guitars that highlight the wood). The 2003 Santana II was a real find and well exceeded my expectations. It is so chimey and sweet---you should hear it thru my Matchless rig. I would not change a thing about it. The 2008 Artist Pack guitars are special IMO. I ended up with two. The CU22 AP has a rosewood neck and Macassar ebony board. The CU24AP also has the Macassar ebony board. The CU24 is stock---the HFS and Artist Bass are a great match in this loud and clear guitar. It is without a doubt the best CU24 I have ever played, including ones back to '87. The CU22 has had the most changes. A new Schroeder bridge and the Dragon II pickups were replaced with a fantastic set of '90's PRS Artist pickups with alnico V magnets. I also changed the knobs. If I could change anything about them, I would prefer the newer Phase III tuners, but that is no biggie. I gig all these a lot and they are like old friends now. And what do I have GAS for now? Another 2008 AP CU22 with an ebony board but with a trem. 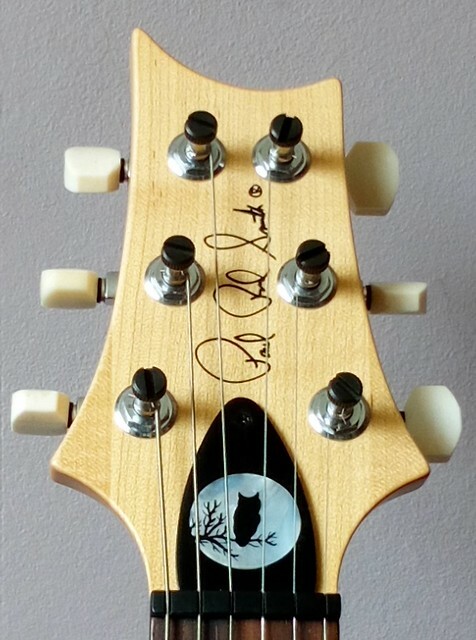 I love the old WF neck carve, the thin finish on these guitars, and the hollow pau birds. What are some of your old favorites? cshallcross, dogrocketp, justjoshin and 11 others like this. dogrocketp, LSchefman, Outlier22 and 8 others like this. Oh...I should have included SAS. There have been a few variations but I stick with this one from 1999. It got me over my quest for a Strat for a good 15 years. Lots of range in tone: HFS, VB + a SD rail. dogrocketp, KrisCHS, LSchefman and 7 others like this. The old artist series guitars. My favorites were the IIIs for the purfling, but they all sounded AMAZING. dogrocketp, LSchefman, g.wizz and 1 other person like this. The only guitar I crave now is a PS build using the construction method of those. The early ones (like yours) did not have the additional bracing and were SO resonant! Killer guitar you have there!! dogrocketp, LSchefman and veinbuster like this. I think those guitars also had the Alnico 4 Artist Treble and Bass pickups. Uncovered and amazing. 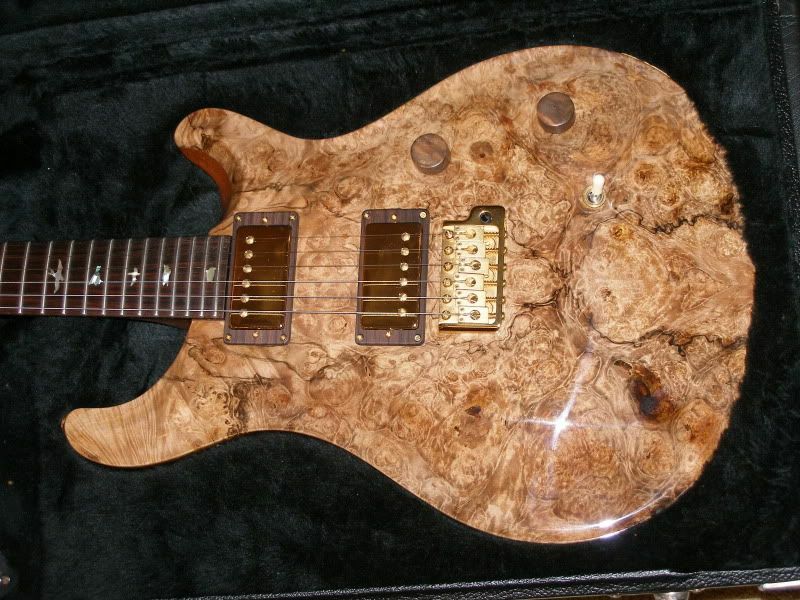 PRS should still make them. Just the right amount of cut and sweet compression. I also prefer the unbound necks and uncovered pickups of old. dogrocketp, LSchefman and Tag like this. dogrocketp, KrisCHS, LSchefman and 9 others like this. dogrocketp, shimmilou, LSchefman and 11 others like this. eugeneelgr, LSchefman, Glide-bpm and 1 other person like this. merciful-evans, dogrocketp, Glide-bpm and 7 others like this. bodia, Glide-bpm, LSchefman and 2 others like this. I love the older core models I've been able to play (unfortunatly nothing before 2000 or super rare) and currently own 3 Pre 2007 models & a 2015 McCarty which barely sees the outside of its case since I got my older 3. All 3 are stock except for TRC on standard & CE and the knobs on the standard. This thing has become my main go to guitar for virtually everything (with 123 guitars, thats a bold statement). She's virtually performance perfect in every way, ok so she has the old kluson style tuners but once the strings are stretched in she'll do a full gig with virtually no messing, plus If I were to change them for locking tuners it would change the tone on the guitar. The old wide fat neck shape is just perfection, the 2015's feels great but just not the same. I find the pickups sound more vintage to me than the 58/15's. My 2001 McCarty is like that favorite pair of sneakers or your favorite old jersey, they just feel right. 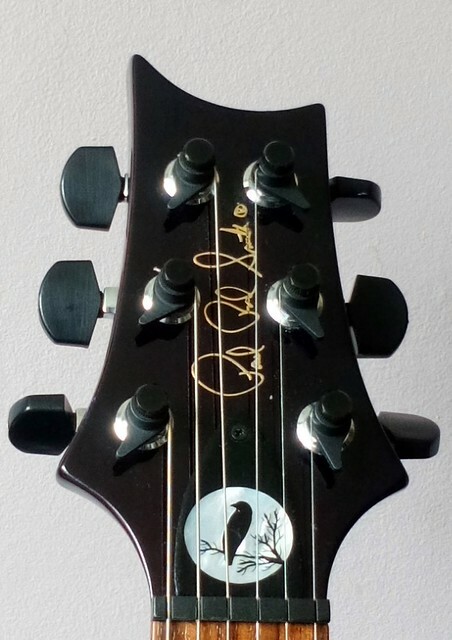 What can I say about the standard 22?, First off the colour is freakin beautiful (she looks black but actually very dark translucent purple) I would that she is performance perfect in every way, she features the phase I locking tuners which I love - I actually find these easy than the phase II or III for everyday use. The dragon II pickups sound fantastic with the all mahogany body and the 5 way rotary switch gives some fantatsic combinations, Again this has the old wide fat neck which is perfection. 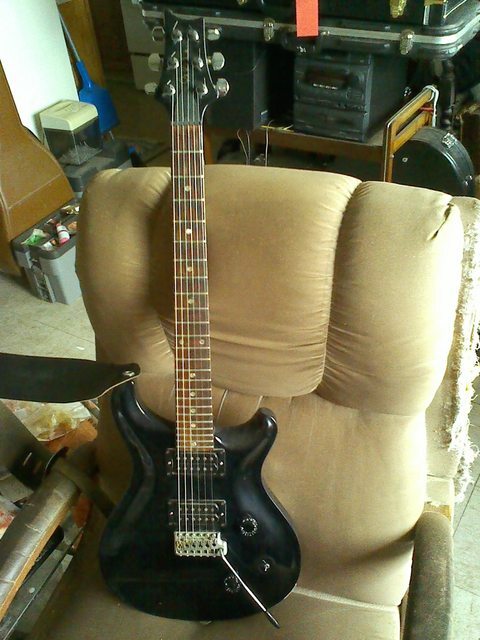 I've changed a few things - lampshae knobs, core pickups surrounds and a custom TRC featuring a ebony raven on MOP moon. First off get my just say that I don't think the modern CE's hold a candle to the older models. This one features a solid mahogany body and is just a joy to play, she has phase II tuners and a really nice wide thin neck (feels like my 60's pfofile LP) the pickups matched with the all mahogany body really bring something different the table, more 70's rock machine than the other two's vintage sound, with the maple neck giving that little bit of brightness and stopping the whole thing getting muddy and again the 5 way rotary switch gives some fantatsic combinations. The only things I've changed are a custom TRC featuring a ebony owl on MOP moon and bone tuner buttons. These 3 guitars are exceptional (to me) when people aske how they sound i expalin it like this. Though far superior build and quality wise to anything Gibson put out (I like gibson and own 6 of their guitars - but the quality is no where near PRS) I would say they stackup like this. 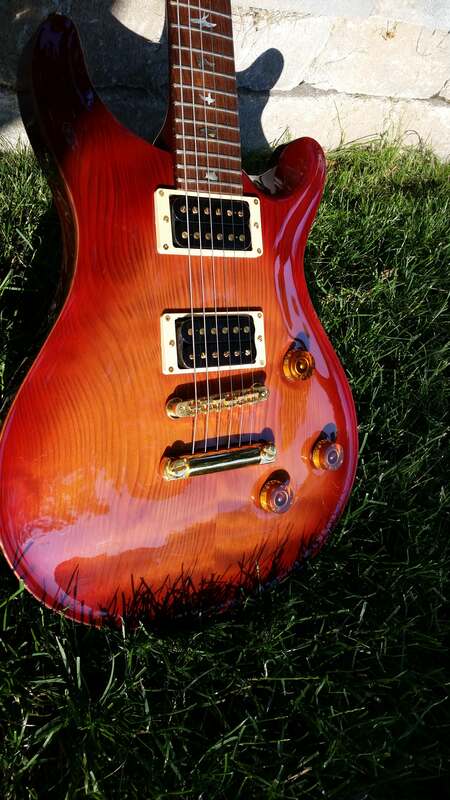 2001 McCarty = Like a geniune vintage Les Paul, made by craftsmen, with a sound to match - think Peter Green, (Bluesbreakers era) Eric Clapton and the other numerous 60's guitarist that put the LP on the tonal map. 2001 Standard = Again like a vintage Gibson, this time a LP Junior or early SG, not quite as smooth as a LP but still the classic sounds (both Gibson & fenderish) we grew up with. 2006 CE-24 = LIke a late 90's LP Studio, This thing can do the classic sounds but can also bite your head off with just the turn of the dial. Where does this leave my beautiful 2015 McCarty? she is a fantastic guitar in her own right and she's not going anywhere but I would of prefered the older neck carve & the thinner headstock. I almost feel like the modern version is a museum piece whereas the other 3 are more worn in and mature. BMiller, dogrocketp, jxe and 6 others like this. Nice!! 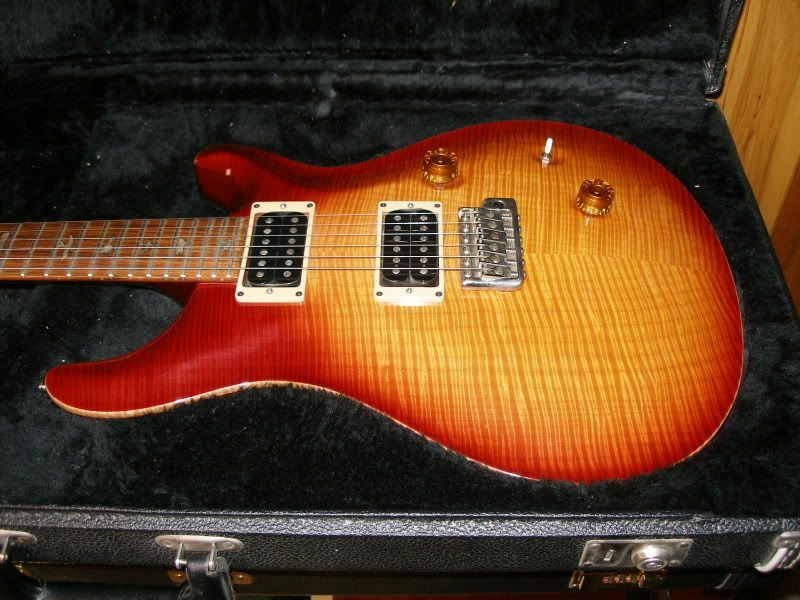 My very first PRS was an Artist II as well but in purple. It sounded CRAZY good. Many R8s and 9s came and went after getting shamed by that PRS. Huge throaty sound. dogrocketp, Glide-bpm, Fullmoon 1971 and 3 others like this. I dug my Artist II as well. Mine was Teal Black. It sounded great, looked killer. It was my second PRS. Tag and Glide-bpm like this. After more than thirty years together I'm still head over heels for my '87 Standard. 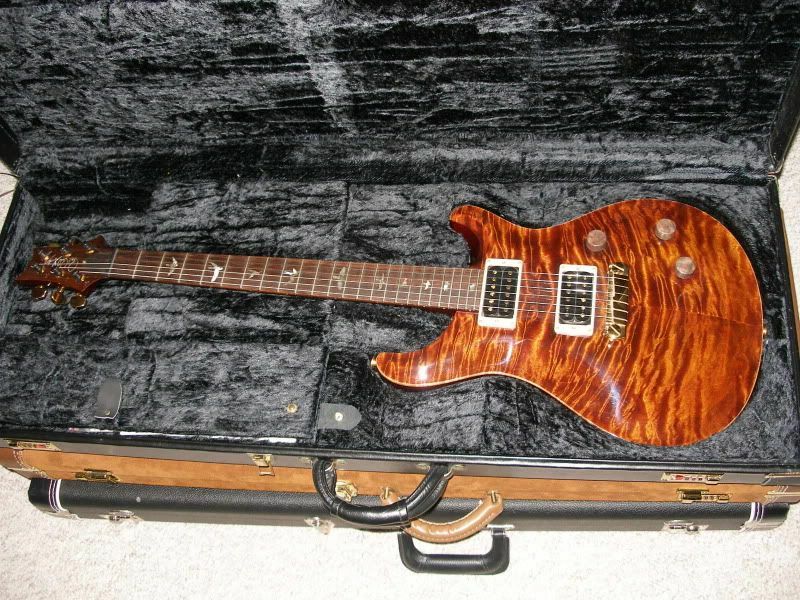 First PRS I ever bought, my #1 for many years, and the guitar I'd keep if I could only save one. Not as fancy as some of my others but man, does she sing! Mike Duncan, Alnus Rubra, grausch and 5 others like this. Love Teal black!! Thats what my first semi hollow Artist 3 was that started the entire semi hollow with trem mess! I have a pic of it on one of my disk drives. I just have to find it. Sure was a gorgeous guitar! Mike Duncan, JJJ, Prs-studio and 10 others like this.